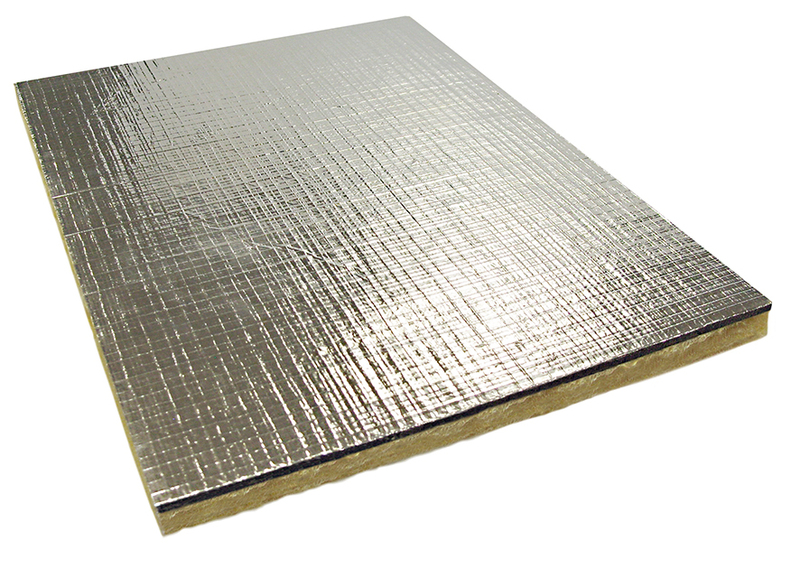 CMS Danskin Acoustics SuperLag Superflex Prime is a highly flexible material consisting of a three part laminate incorporating a spacer or isolating layer a very flexible heavy mass layer and an outer flame / vapour barrier meeting Class ‘0’ of the UK Building Regulations. Being of a laminated construction it overcomes the need for a separate isolation layer normally required beneath most forms of acoustic lagging. CMS Danskin Acoustics SuperLag Superflex Prime is a highly efficient acoustic insulation lagging for ductwork pipes enclosures and similar applications where a considerable reduction in the passage of noise is required combined with ease of application. Easy and quick to apply. Applied as a single layer treatment. Excellent fire resistance & temperature stability. Highly flexible suitable for installation on smaller pipes. A range of insulation hangers to provide instant mechanical fixing of preformed insulation to various surfaces. They are often used as the sole means of support without the need for any additional adhesive bonding. They can also be used as a temporary aid to installation where additional mechanical support is also required. Used efficiently they are a means of considerably reducing on-site labour costs. Tough waterproof and weather resistant rubber sheet based on Polyisobutylene (PIB). It is coloured black and has excellent resistance to abrasion mechanical damage and weathering. It has very low water vapour permeability is unaffected by sunlight ozone and extremes of temperatures and will not crack with age. Suitable wielding agents 1 solvents are readily available. No special adhesives are required. The sheet is dusted with talc to ensure smooth easy unwind from the roll. Waterproof covering for thermal insulation on pipework and ventilation trunking.